Call us at: 9643349801 and make your future bright with advance Digital marketing course in Delhi/NCR. Digiworld Tutorial is one of the best and affordable institute in Delhi/NCR offering world-class training to their students. So don't waste your time just make us a call for free demo class. 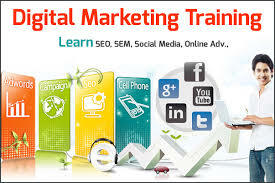 Do You want to Learn Advance Digital Marketing Course in Delhi? We offer 20% discount on this course Get a Job or Grow Your Business from this Course.